Click play to view Roly Owers’ address to the World Horse Welfare Conference. Changes for the betterment of horses require real world, workable solutions, the head of a leading equine charity says. “We have to listen to each other, no matter where we are on the spectrum of animal rights or animal welfare, industry or charity, or whether we consider horses pets or farm animals,” World Horse Welfare’s chief executive, Roly Owers, said. Owers, addressing the British-based charity’s annual conference in London yesterday, said: “We do not call for bans on slaughter, horse markets, imports of horse meat or even tethering because history shows us this merely drives the market underground where horses are no longer visible and their treatment becomes completely unregulated. 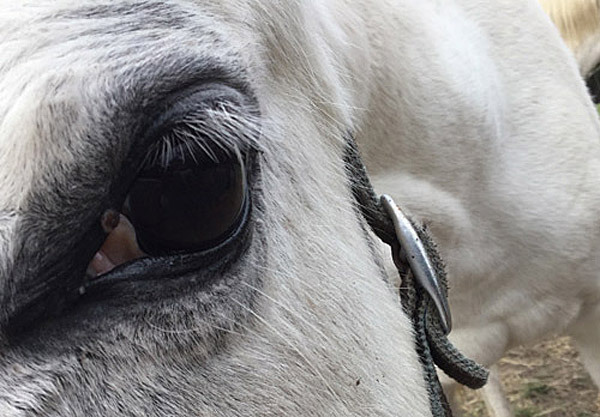 “It’s akin to shutting our eyes to the problem as these horses would remain invisible. “In our view, true change happens through engagement, understanding and constructive, open-minded dialogue. For instance, some may feel that a particular training or management method has great merit. “Without doubt personal experience is such an important part of horsemanship, but it is another thing completely to say that a particular training method is the only method. We believe this is blinkered and destructive. Horses are complicated beings. What works for one may not for the other. Owers said World Horse Welfare had always supported the responsible use of horses in any number of roles. “Today we hear growing voices that say all use is abuse. This is to misunderstand the responsible horse-human relationship. Owers said the horse community must always resist the growing tendency towards anthropomorphism – attributing human characteristics to animals. “This is rarely good news for their welfare. Owers spoke of the versatility of horses, and said their partnership with humans had flourished for thousands of years. “Increasingly, organisations and individuals in the horse sector, not just in the UK but worldwide, are working in partnership to help improve the welfare of horses and the sector at large. Horses, he said, were owed respect, compassion and understanding. “Across the horse world we have made huge progress in equine health and welfare, but too many of us still fail to learn lessons – fail to challenge the status quo – which can – and does – result in profound invisible suffering. “For more than a decade now the alarm bells have been ringing about how our horses and ponies are getting fatter and about emerging conditions such as Equine Metabolic Syndrome (EMS), yet owners continue to overfeed, under-exercise and generally pamper their equines like pets. “We rug Shetlands in winter, Thoroughbreds in summer whatever the weather, making their lives a misery and all too often leading to an early death through debilitating diseases such as laminitis. “Collectively, we have to ask why we find ourselves still sleep-walking down this road. “Similarly, we all know that aggressive training methods or over-competing our equine athletes has a real impact on their body and long-term health. Still, some continue to push them too far. Owers said those in the horse community needed to challenge themselves over whether they were genuinely open to new ideas, most especially ones that they initially might not agree with. Governments, companies, and regulators needed to collectively tackle compliance with, and enforcement of, the laws and regulations meant to protect horses. Laws amounted to a “hill of beans” if no-one took heed of them, or authorities had no resources or political will to enforce them, he said. Owers said there had been encouraging developments around animal welfare in Britain, including plans for closed-circuit television monitoring in English slaughterhouses from next year. “However, actions will always speak louder than words, and the record here is still not good enough. More than 10 years after the adoption of the Animal Welfare Act in England and Wales, there is still no requirement for authorities to enforce it even though only the police and local authorities have the power to do so. “The government must do what only government can do, and that is enforce the law – but there appears to be a complete lack of resources to do so. Owers said the demand on equine welfare charities was fueled largely by irresponsible breeding, ignorance and a lack of owner accountability. Equine identification was fundamental to protecting horse health and welfare, he said, and the charity looked forward to new laws to make the horse identification system more robust and enforceable. In Europe, the regulation governing long-distance live animal transport was largely unenforced and unenforceable, he said. Owers suggested that horse sports should consider actively cultivating a social licence to operate.